Oskaloosa Vision Center | Providing high quality, professional eye care with a truly caring staff. Oskaloosa Vision Center can trace its history to the summer of 1920, when Dr. Forrest Lee Crumbaugh first opened his optometry practice in Oskaloosa. After Dr. Crumbaugh’s death in 1935, Dr. C.C. Kitchen continued the practice for the next 50 years. In March of 1985, Dr. H. Craig Coen purchased the practice from Dr. Kitchen and established Oskaloosa Vision Center. In November 2013, Dr. Molly Walker became a co-owner of the practice. Dr. Coen retired in December 2015 and Dr. Daniel Foster became a co-owner with Dr. Walker at that time. 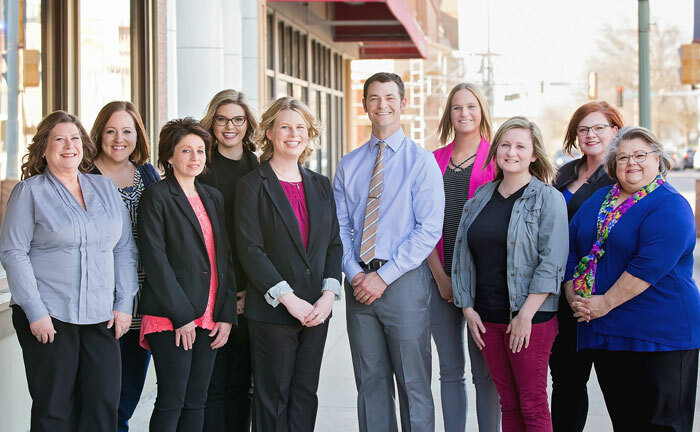 Today, Oskaloosa Vision Center is a busy, medical-based office where our patients come first. In addition to comprehensive eye examinations, our doctors are able to remove foreign bodies, manage and treat eye infections and diseases, prescribe glasses and contact lenses, as well as provide pre- and post-operative care to surgical patients. Oskaloosa Vision Center participates in several insurance plans and the InfantSEE program. We are always happy to welcome new patients. Come see us today!